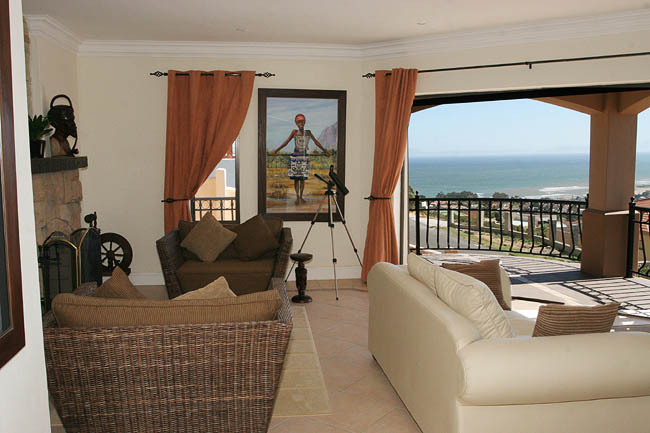 This beautiful family owned and run Guest House is a mere 2 minutes’ drive from the centre of the village, Gordon’s Bay beaches & restaurants. 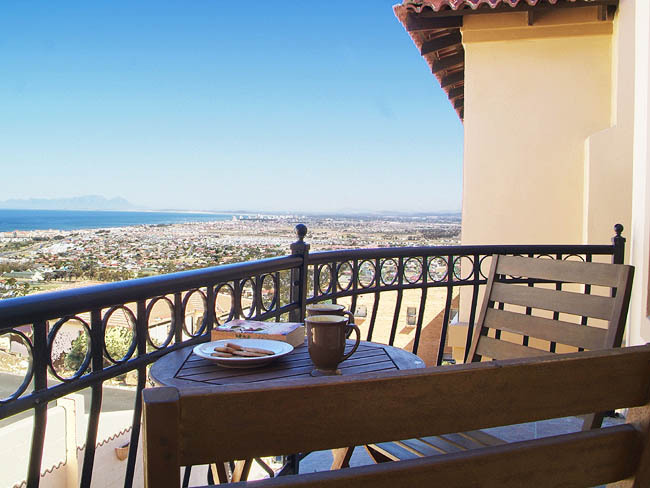 It is set against the majestic backdrop of the tranquil and calm Hottentots-Holland Mountains, and has magnificent uninterrupted views looking down onto Gordons Bay and False Bay to the left with Table Mountain in the distance. The sunsets are quite spectacular. 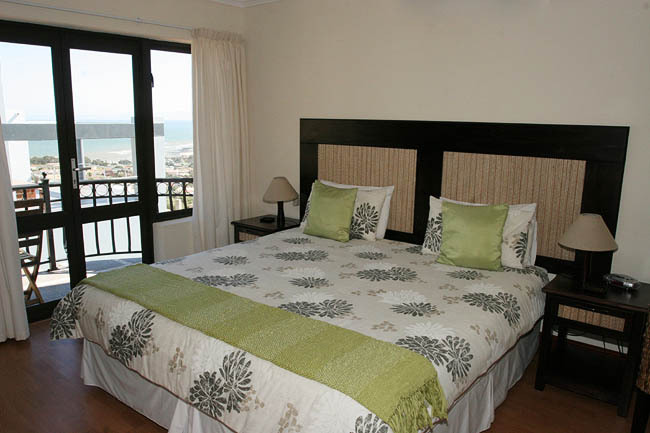 The modern air conditioned sea facing or mountain facing rooms are all individually tastefully decorated. Each room has a TV set, a minibar and private en suite bathroom. 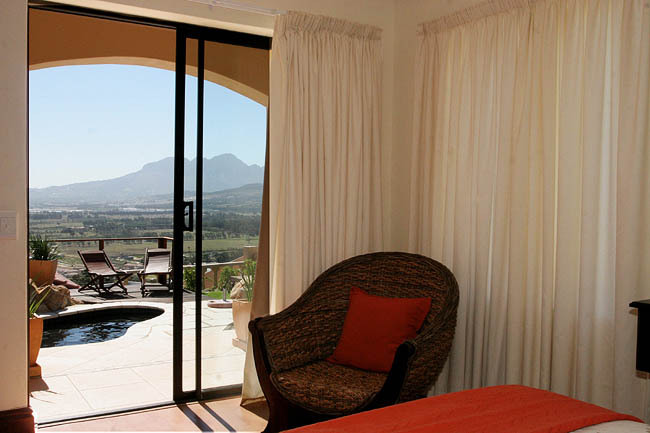 Some rooms have a small patio with access to the pool or a balcony with views. 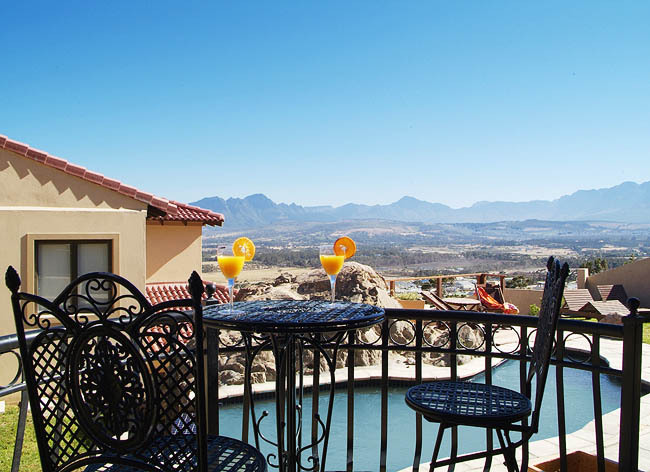 There is a solar heated pool with fantastic views. The guest lounge has satellite TV with a hotel bouquet. 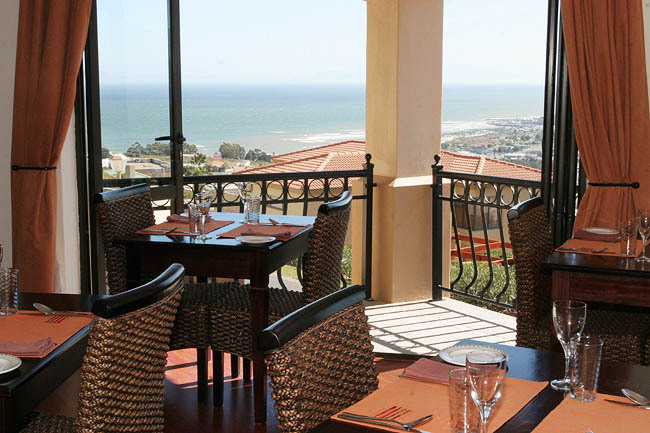 It leads out onto a balcony overlooking the Bay. The dining area, is located in a separate area of the guest house and leads onto a courtyard. Laundry facilities available.